Save your time and money with our group transfer and sightseeing tour in one day. Possibly the itinerary may be adjusted due to traffic, flooded trails in the park or bad weather conditions. 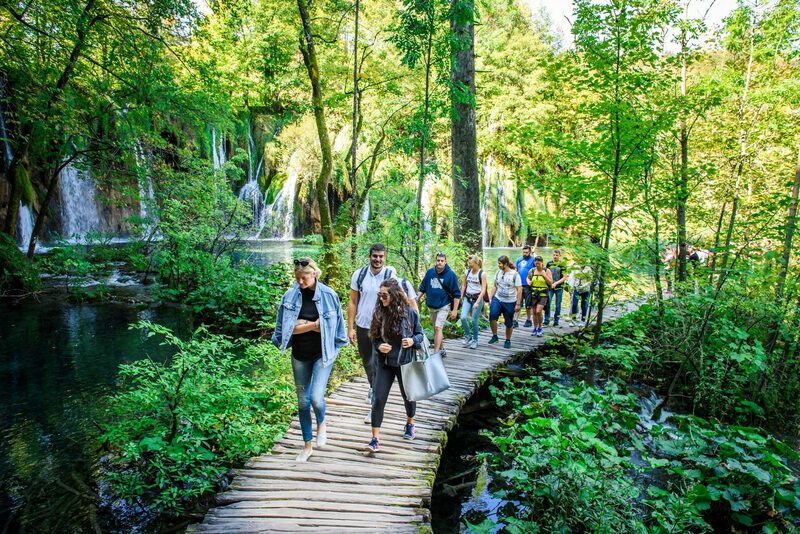 Take an advantage of group transfer from Zagreb to Split with a sightseeing tour of NP Plitvice Lakes. 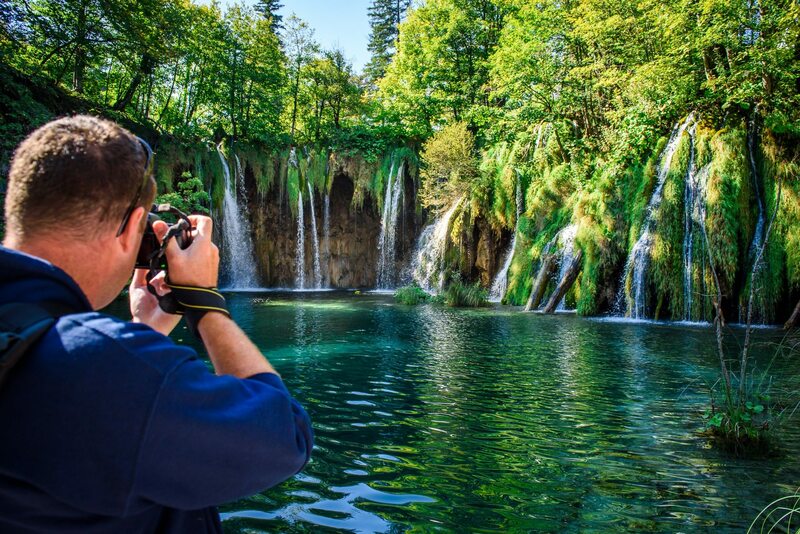 At agreed time, our tour guide / driver will pick you up in Zagreb to start comfortable ride to the national park Plitvice Lakes. On our way, first stop will be a visit to the Homeland War memorial in Turanj. The collection is set up on a battlefield of the worst fights of Croatian army which defended Karlovac and proves the importance of Turanj as an advance guard for Karlovac since the period of Ottoman Empire. After this intriguing history lesson enjoy short stop for a coffe in Rastoke. 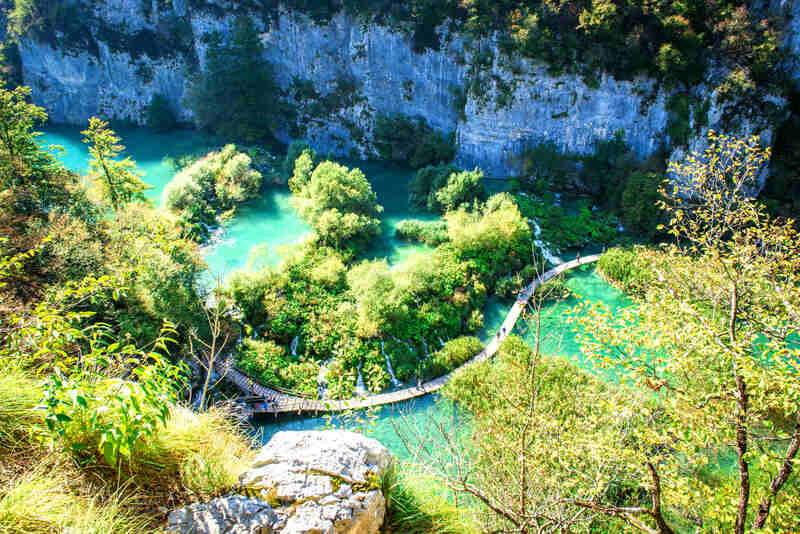 This village respresents an excellent introduction to the Plitvice Lakes as this location is often called as „Small Lakes of Plitvice“ because both destinations are connected with the same river. Apart from astonishing natural beauties, Rastoke are best known for its little waterfalls along the Slunjčica river and well-preserved mills and houses which represent the unique style of this region. 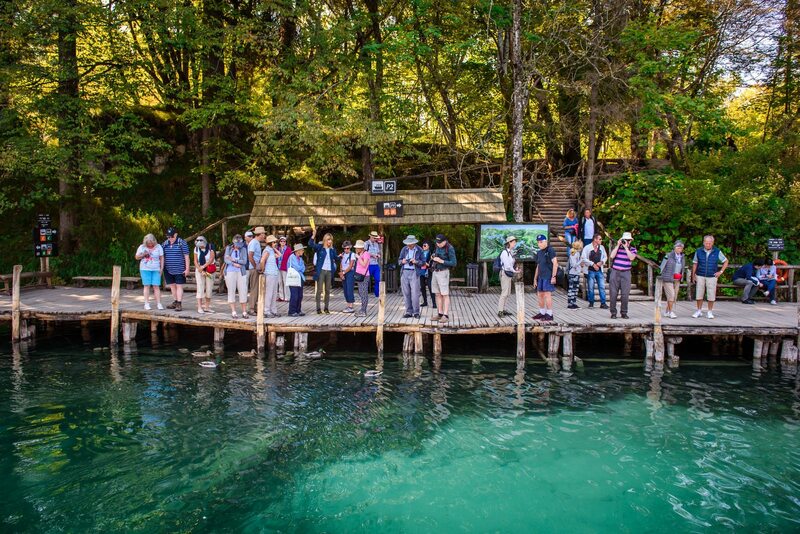 Once arriving to Plitvice Lakes national park, begins your adventure of discovering the whole park area accompanied by our knowledgeable tour guide. 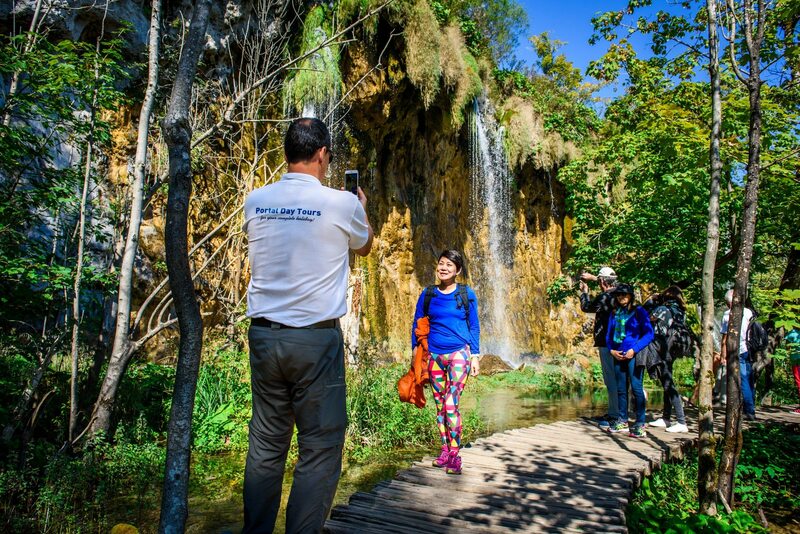 This park consists of 16 terraced lakes, formed by natural travertine dams. Depending on the angle of the sun’s rays and the mineral makeup of the water, lakes change colors throughout the day, from bright turquoise to gray. Enjoy the walk and be amazed with the preserved nature of the area. After the tour your tour guide will take you to the local restaurant where you can taste traditional dishes of this area (optional). He will gladly make some recommendations for food, drinks or even suvenirs. After the lunch, starts your pleasant drive to your final drop off location in Split. 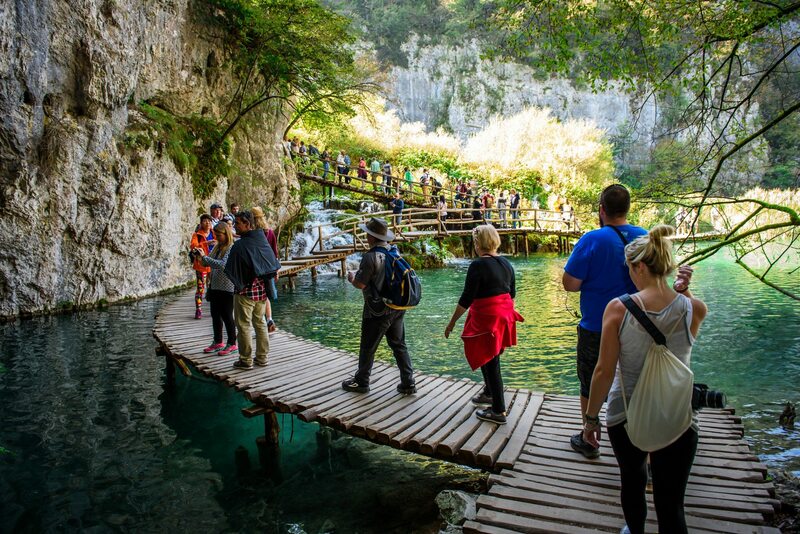 Price includes: Pick Up and Drop Off, , entrance tickets to NP Plitvice Lakes (boat ride and tram included)transport with comfortable passenger van our tour bus, entrance tickets to Rastoke, English speaking tour guide/driver, road tolls and parking, baggage handling, all taxes and VAT. If you wish to book a tour simply check availability through the “BOOK NOW” button on the calendar and if the date shows up there, it means that we have guaranteed departures for selected date. So you can just simply continue the booking process. If the desired date is not on the list please send us a request for availability via contact page. MAIN BUS MEETING POINT is used for accommodation within the pedestrian zone of Zagreb old town. LUGGAGE LIMITATIONS: On the tour, each participant is welcome to bring one suitcase and one hand luggage. The luggage will be safely stored in the vehicle during tour. 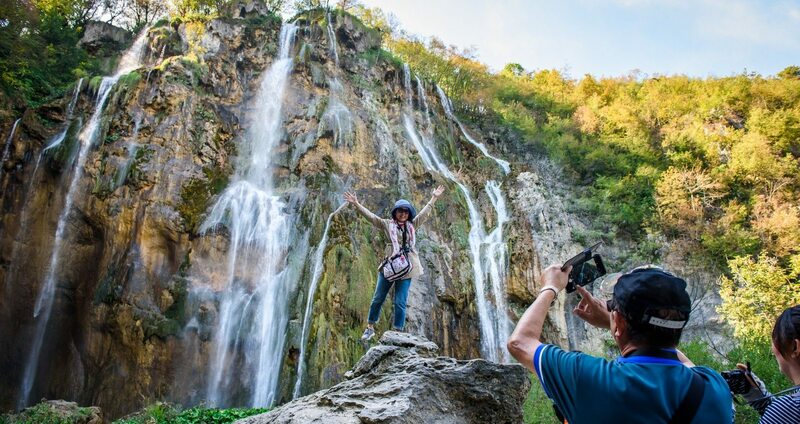 Passengers are recommended to bring comfortable items such as comfortable closed walking shoes, sportswear, snacks, water and most definitely a camera to take some amazing photos. Tour is not recommended for children younger than 3 years and people with mobility issues as tour includes walking on uneven surfaces. 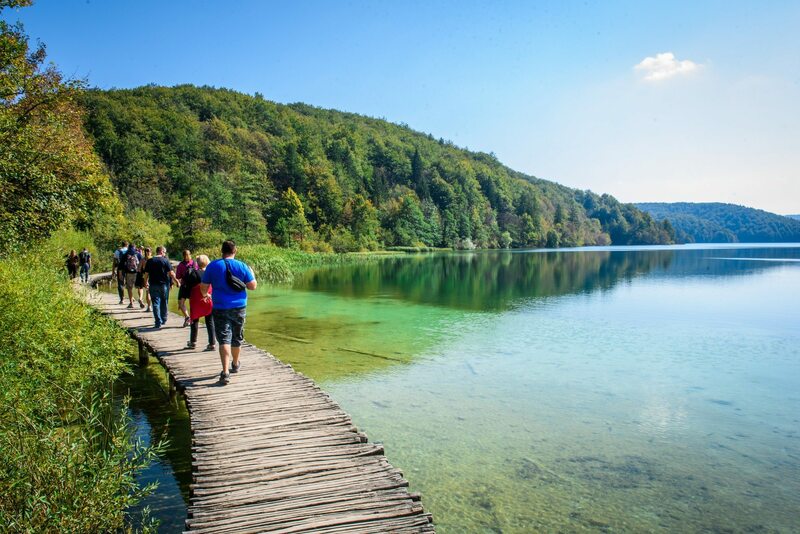 Please be advised that due to the geographical position and frequent local weather changes, the weather conditions in the Plitvice Lakes National Park may be much different than in other parts of the country. Please check the weather conditions in the park day before the tour and make sure to dress appropriately. 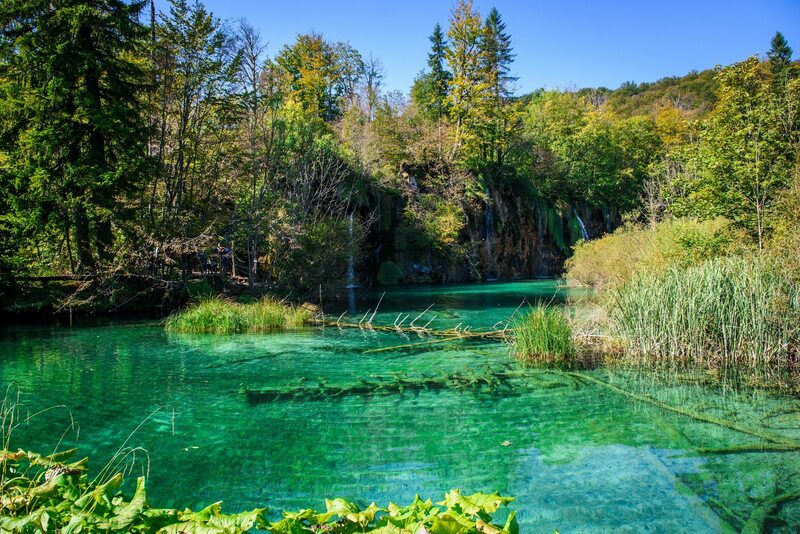 Wonderful day at the Plitvice Lakes today, pictures don’t do it justice, I highly recommend making the trip to see this beautiful piece of nature. Tiho and Mario were our guides for the day and made the trip an absolute blast. I appreciated how informative they were regarding logistics of the trip and also Mario’s ability to herd us all through the park and back onto the bus without losing anyone!